BLOOMINGTON, Ind. 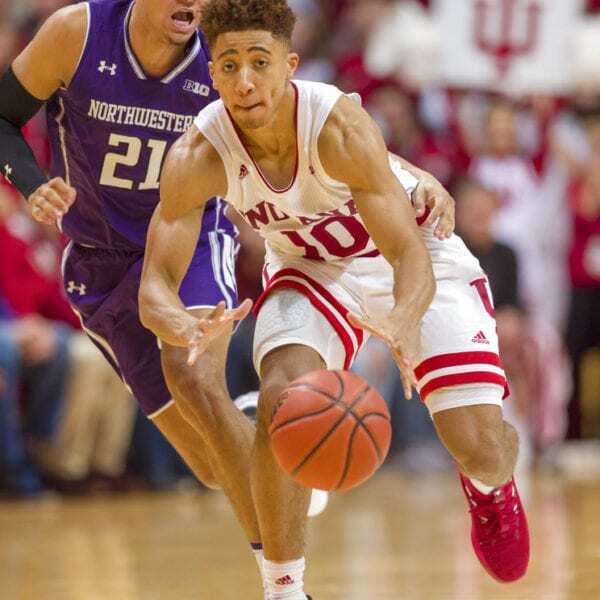 (AP) — The Indiana Hoosiers got off on the right foot in Big Ten Conference play, defeating the visiting Northwestern Wildcats 68-66 on Saturday. The Hoosiers (6-2, 1-0) were led by Romeo Langford’s 20 points and Juwan Morgan’s 17 points and 12 rebounds. The pair of stars each shot 8 of 13 from the field. Morgan left the game with an apparent right leg injury with 3:20 remaining and the Hoosiers leading 61-58. The Wildcats (6-2,, 0-1) were able to take the lead after Morgan exited before a Justin Smith free throw tied the game at 63. A floater by Langford with 39 seconds remaining broke the tie, giving the Hoosiers the lead for good. Indiana survived a poor 3-point shooting performance (3 of 11) and struggles at the free-throw line (11 of 19) by attacking the basket, making 63 percent of their 2-point attempts. The Hoosiers were able to get key defensive stops down the stretch, limiting the Wildcats to 37-percent shooting in the second half. Northwestern was led by Dererk Pardon’s 24 points and 10 rebounds. Vic Law added 16 points and nine boards for the Wildcats. 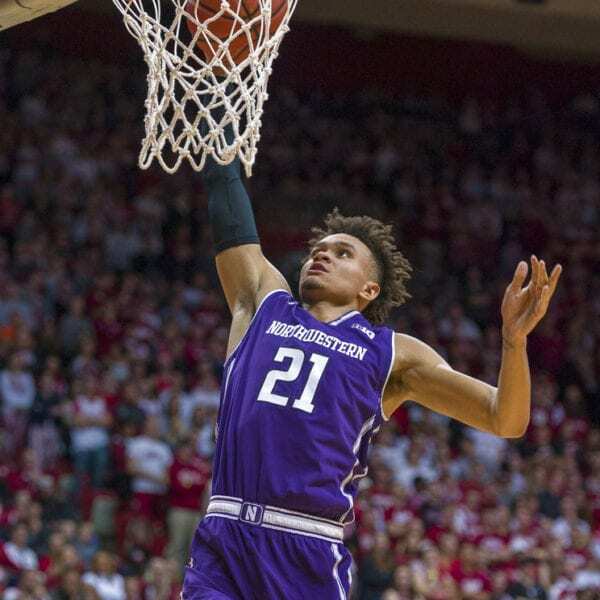 Northwestern was unable to continue to keep its early-season momentum rolling, but their 6-2 start to the season still has them in position to make the NCAA Tournament for the second time in school history. 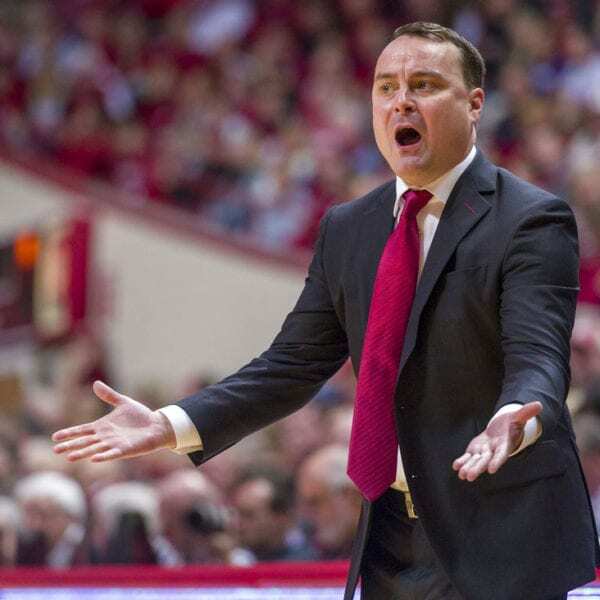 Indiana rebounded after a rough loss at Duke in which everything seemed to go wrong. The Hoosiers get a quality win to begin conference play but will be hoping to receive good news regarding Morgan’s injury status. Northwestern: The Wildcats return to action on Tuesday in front of their home crowd looking to knock off No. 7 Michigan. Indiana: The Hoosiers hit the road to continue conference play at Penn State. 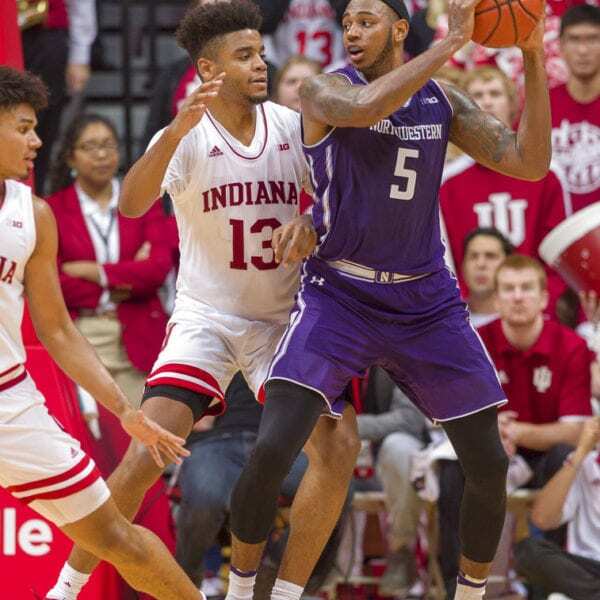 Be the first to comment on "Indiana Edges Northwestern 68-66 In Big 10 Opener"